My card this week is a birthday card created with the Bunch of Blossoms stamp set and coordinating Blossoms Builder punch. Along with inspiration from the Hand Stamped Sentiments color challenge of Lemon Lime Twist, Dapper Denim and Rich Razzleberry I CASED my card from page 135 of the 2017-2018 Stampin’ Up Annual Catalog. The Lemon Lime Twist DSP layer is from the Eastern Palace Specialty Designer Series Paper pack followed by water color paper. The Dapper Denim color was applied with an Aqua painter. The petals of the flower was stamped with Momento Black and colored Rich Razzlebery applied with an Aqua painter. Lemon Lime Twist ink was was also applied with and aqua painter to the leaves and center. The card was embellished with twine and Basic Rhinestones. Head over to Hand Stamped Sentiments to see more inspiration from the design team. My inspiration for this week’s card comes from the Hand Stamped Sentiments color challenge, Calypso Coral, Pear Pizzazz and So Saffron, and a childhood favorite treat. A beautifully decorated vintage diorama sugar egg. 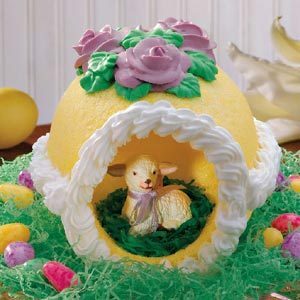 I was always fascinated by these eggs because there was another world inside them filled with an Easter scene with a bunny, chick or lamb. So cute and yummy! I die cut two scalloped ovals and one smaller oval for my card and stamped with the chick from the stamp set Honeycomb Happiness embellished with a honeycomb sponged with So Saffron. I decorated the egg with flowers die cut from Calypso Coral card stock with the flower from the Ity Bitty Accents Punch pack and the Petite Petals Punch. I also used the retired Itty Bitty shapes punch pack flower to die cut other flowers I stamped from the retired Your Perfect Day stamp set. The leaves are from the Bird Builder punch. The butterfly is stamped from the Butterfly Basics set and die cut with the Bitty Butterfly punch. I then decorated with basic pearl strips. Be inspired by the color challenge at Hand Stamped Sentiments and the other projects created by the talented design team. Show us your creation! An elegant Christmas card is what I created, inspired by the Hand Stamped Sentiments color challenge of Very Vanilla, Metallic Gold and Basic Black. I used the bundle with the Festive Flower Builder Punch and the Reason for the Season Stamp set. With the Festive Flower Builder Punch you can create beautiful Poinsettias like the one I created from Vellum paper. I stamped Vellum paper with Gold Encore ink. For the center of the flower I used retired embellishment Frosted Finishes from last year’s Holiday Catalog. Behind the flower I used Gold trim cording. The corners of the layers (Very Black, Gold Foil) of the card I punched with the Curvy Corner Trio Punch. I stamped the sentiment with Versamark on a 1-1/2″ x 4″ strip of Very Vanilla then heat embossed with Gold Embossing Powder. 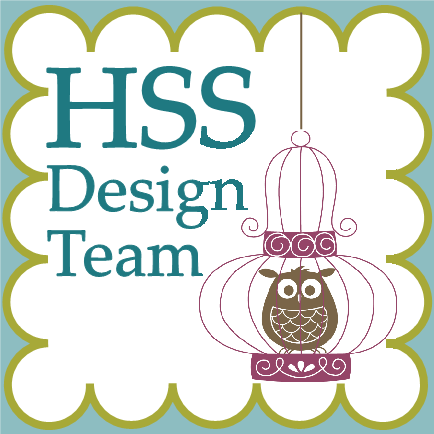 Hop on over to HSS to be inspired by the very talented design team.